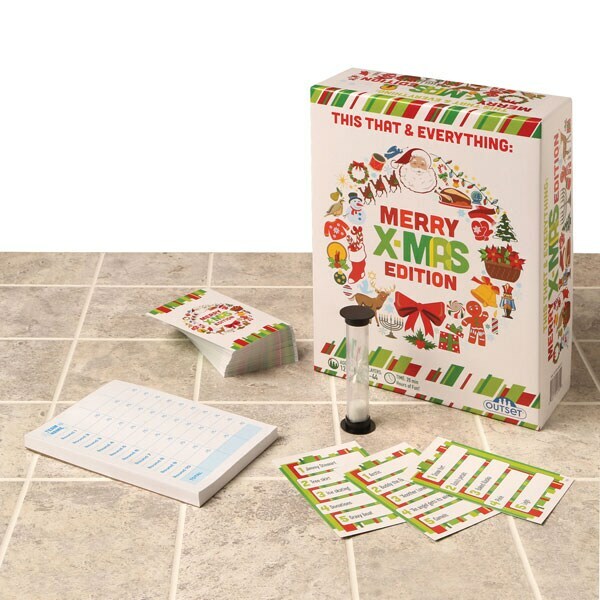 Gather friends and family for this fastpaced, holiday-themed game and get the party started! Teammates take turns describing the six items on their card—such as "Christmas cracker," "Snow Queen," or "turkey"—without saying the names of the items. You only have thirty seconds per card, though, so talk—and guess—fast! The team to correctly identify the most items by the end wins! For four or more players, ages 12 and up.